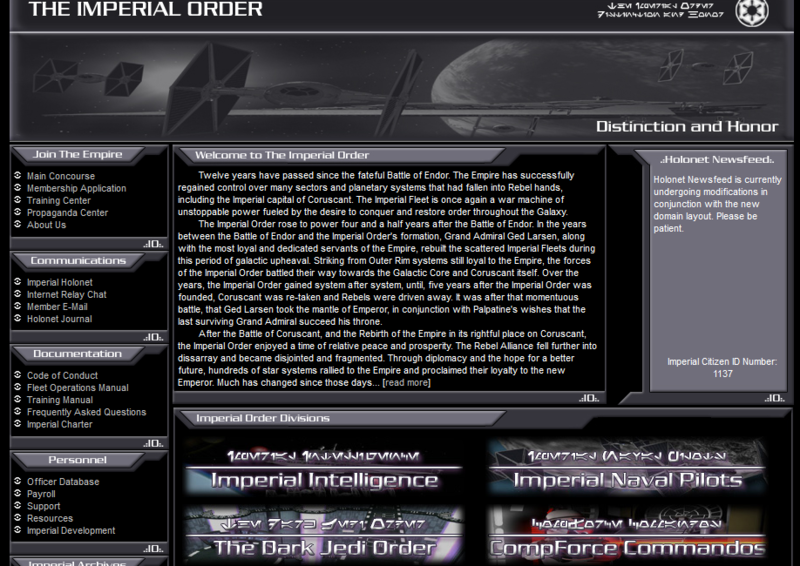 The IO Archives link on the main menu will transport you to The Imperial Order version 3.0 – the IO as it existed from 2002 until 2005. This is the site as it existed as a member based Star Wars online gaming group. The links and sites from that page, if hosted on imperialorder.org, are still active and provide a snapshot in time of one of the greatest Star Wars gaming groups of the time. Please feel free to peruse the Archives and take a step backward in time.